Industries in the Fabricated Metal Product Manufacturing subsector transform metal into intermediate or end products, other than machinery, computers and electronics, and metal furniture, or treat metals and metal formed products fabricated elsewhere. 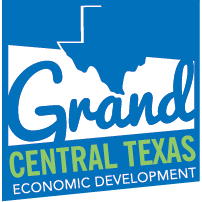 Lock Joint Tube, High Performance Ropes, Permocast, and Butler Weldments are a few of the companies that will see growth in this industry in Central Texas that is projected to almost double that of the nation. Industries in the Warehousing and Storage subsector are primarily engaged in operating warehousing and storage facilities for general merchandise, refrigerated goods, and other warehouse products. Walmart, Performance Food Group, McLane Company, Tractor Supply and Caterpillar Logistics are companies that have a presence in Central Texas because of the proximity to primary markets. These establishments provide facilities to store goods. They may also provide a range of services, often referred to as logistics services, and related to the distribution of goods. Industries in the Transportation Equipment Manufacturing subsector produce equipment for transporting people and goods. In Central Texas this industry is projected to grow at three times the rate of the nation. The average earnings are higher in the region because of the concentration of the highly skilled labor pool associated with the aerospace industry which is part of this subsector. L-3 Platform Integration, SpaceX, DynCorp International and RAM Aircraft are just a few of the more than 30 companies in this sector that call Central Texas home. The Professional, Scientific, and Technical Services sector comprises establishments that specialize in performing professional, scientific, and technical activities for others. These activities require a high degree of expertise and training. The establishments in this sector specialize according to expertise and provide these services to clients in a variety of industries and, in some cases, to households. Activities performed include: accounting, bookkeeping, and payroll services; architectural, engineering, and specialized design services; computer services; consulting services; research services. American Income Life Insurance, CGI, Acer Computers, Blackboard and Sprint are companies that have discovered the benefits of a lower cost of doing business in the region. Texas Hydraulics, Time Manufacturing, and Delta Centrifugal are industries in the Machinery Manufacturing subsector. They create end products that apply mechanical force, for example, the application of gears and levers, to perform work. Although these processes are similar to those used in metal fabricating establishments, machinery manufacturing is different because it typically employs multiple metal forming processes in manufacturing the various parts of the machine. Moreover, complex assembly operations are an inherent part of the production process. This subsector shows future growth that outpaces the nation with a lower cost for highly skilled labor. Industries in the Food Manufacturing subsector transform livestock and agricultural products into products for intermediate or final consumption. Central Texas has a substantial cluster of companies representing this sector. Cargill, Sanderson Farms, Mars, Ideal Poultry, and Windsor Foods are just a sampling of the companies that call Central Texas home. The products these establishments produce are typically sold to wholesalers or retailers for distribution to consumers.